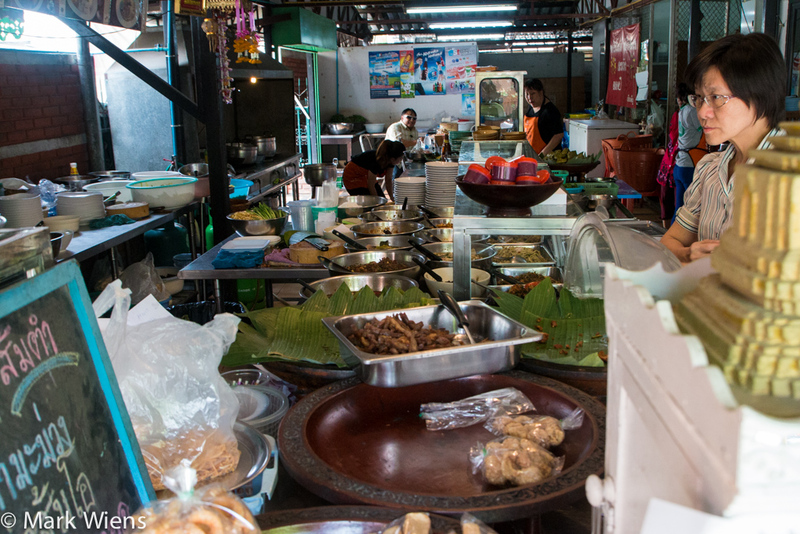 Chiang Mai is a great city to eat through. 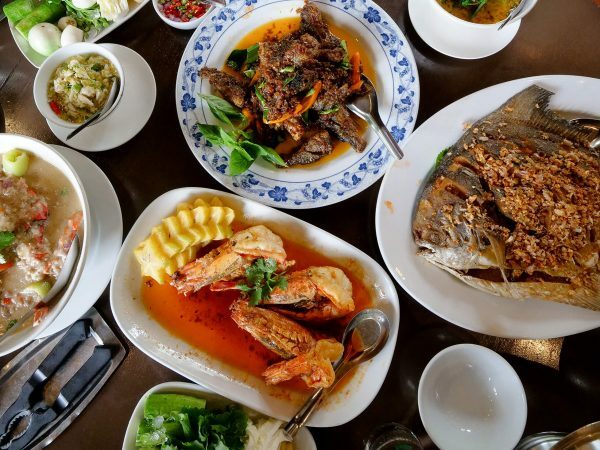 You’ll find all sorts of genres of Thai food available, from international restaurants, to Isan food, to ahan dtam song (stir fry food), and something I love to seek out, northern Thai food (Lanna cuisine). 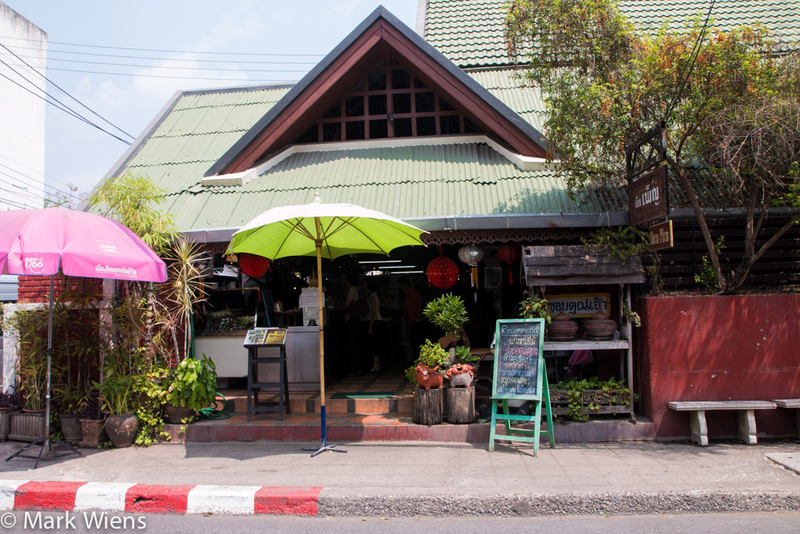 Located right in the center of Chiang Mai, within the old city walls, and just south of Wat Chedi Luang, is a longstanding northern Thai food restaurant known as Huen Phen (ร้านเฮือนเพ็ญ). From the outside, the restaurant looks like a home, but enter the open doorway, and you’ll smell the spices and see the buffet line of pre-made curries. Tables and chairs are sort of spread out in a variety of different areas – it’s the type of restaurant that looked like it expanded multiple times, by adding more and more expansions, as it became more and more popular. 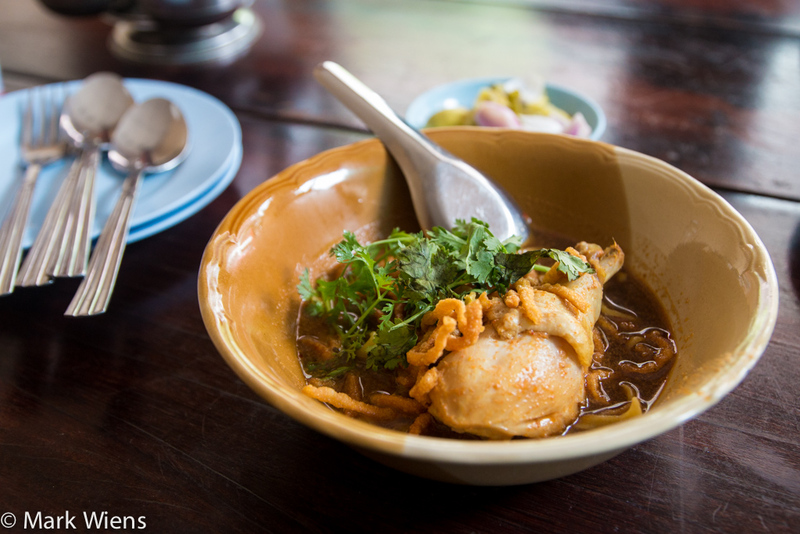 As you might already know, a dish known as khao soi (ข้าวซอยไก่), is one of the most famous northern Thai dishes. I didn’t actually want to eat it at Huen Phen (ร้านเฮือนเพ็ญ), but on my last trip to Chiang Mai, I was on a bit of a mission to sample as many khao soi’s as I could, and since they served it, I thought why not. It wasn’t very good, the broth was sweet, not too creamy, and it lacked the spices that I like in a bowl. Skip the khao soi here, instead eat it here. 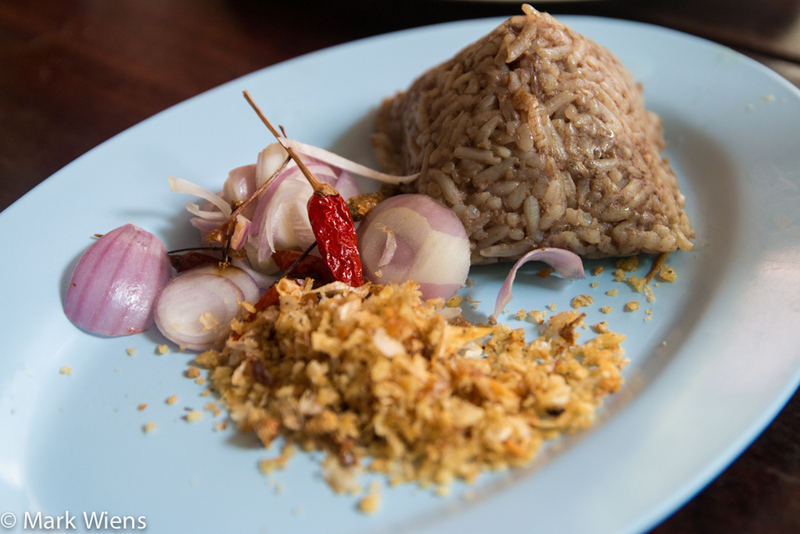 A Thai dish I had never tried before, so I was pretty excited to sample it, was khao ngiaw (ข้าวเงี้ยว (ข้าวกั้นจิ้น). The rice was served in a small triangular shape (reminder me of a Malaysian “packet style” banana wrapped nasi lemak), served with condiments of deep fried garlic, sliced raw shallots, and dry chilies. I honestly didn’t know exactly what the rice was cooked in when I first tasted it. To me, it almost tasted like corned beef mixed with rice, then steamed – not bad at all – in fact quite tasty. 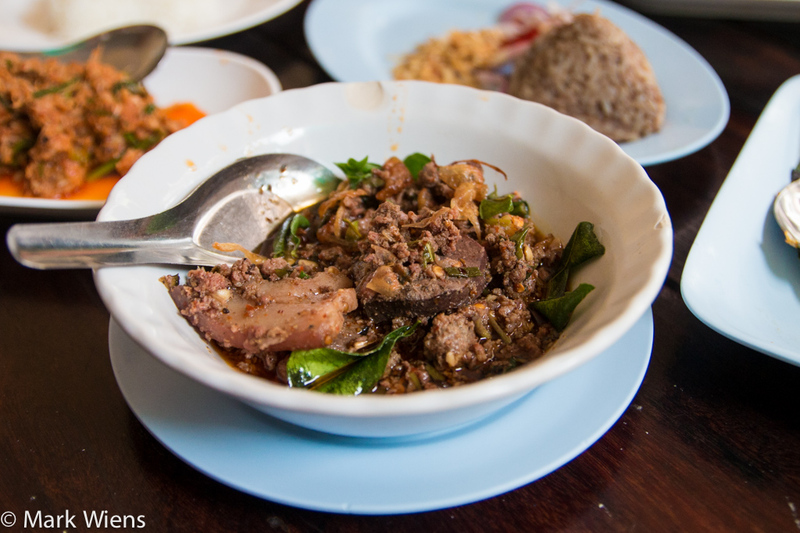 When I researched khao ngiaw (ข้าวเงี้ยว (ข้าวกั้นจิ้น), I figured out it’s rice mixed with pig’s blood and a few spices, then steamed. Along with the garlic, shallots, and chilies, I really liked it. Just like boat noodles, don’t let the blood gross you out, it’s fully cooked, and just adds a richness. 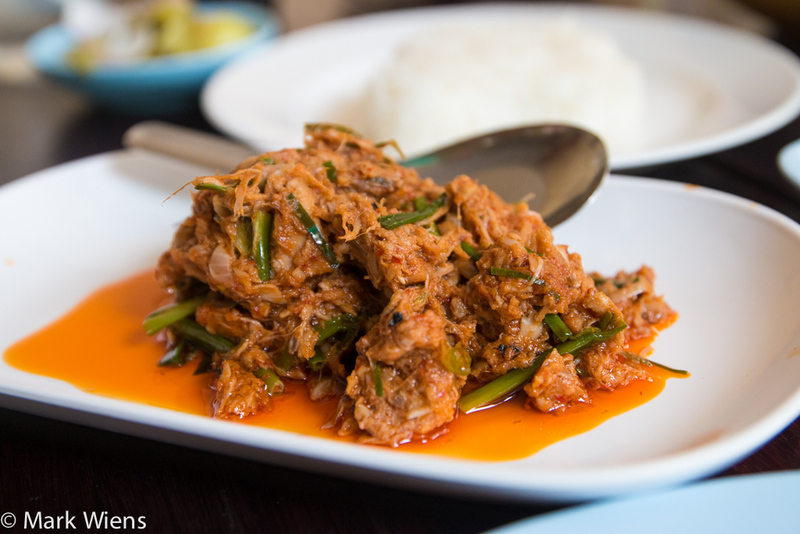 A northern Thai food dish known as aeb (แอ๊บ) is popular, and it’s often made with pork. But when I saw aeb pla (แอ๊บปลา), the fish version on the menu, I decided to go for it. Aeb pla (แอ๊บปลา) is comparable to a central Thai hor mok (seafood custard), but it still tastes quite different – in my opinion it’s more herbaceous, and not as custardy. 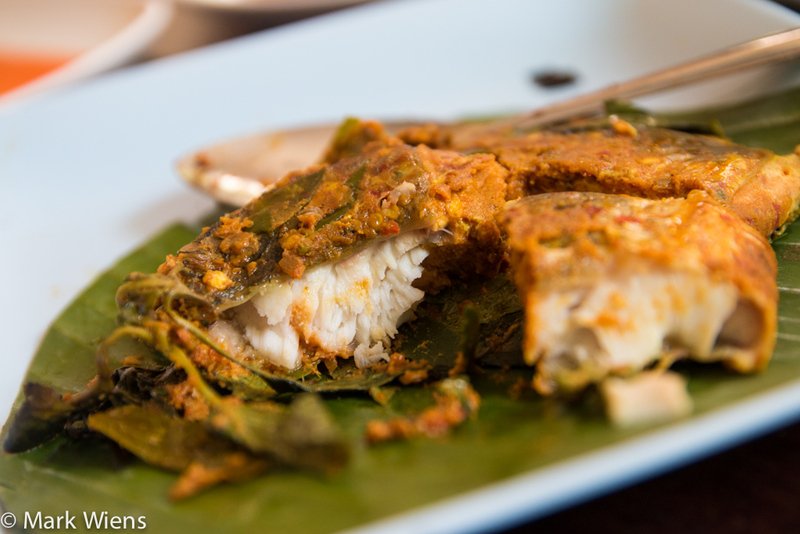 In their version of aeb pla (แอ๊บปลา), the fish was actually in whole fillets, seasoned with perhaps a bit of red curry paste, and then filled with heaps of sweet basil, before being wrapped in a banana leaf, and grilled. I loved the herb flavor, and the fish was moist and flaky. It had a wonderful earthiness to it. 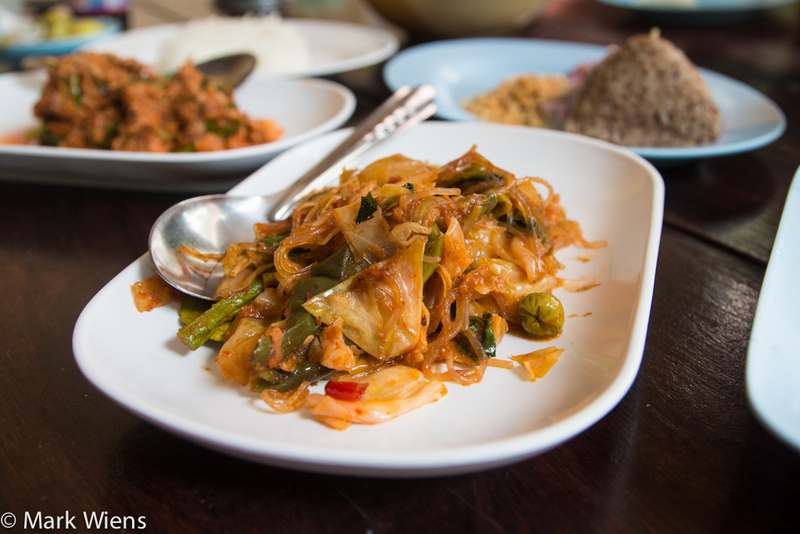 Another famous northern Thai dish is tam kanun (ตำขนุน), or young jackfruit salad. Jackfruit is commonly eaten in curries in other places I’ve traveled, but this was my first time to eat it as a salad. The young jack fruit was shredded, and it almost had the consistency of canned tuna, only less dry, and not fishy. 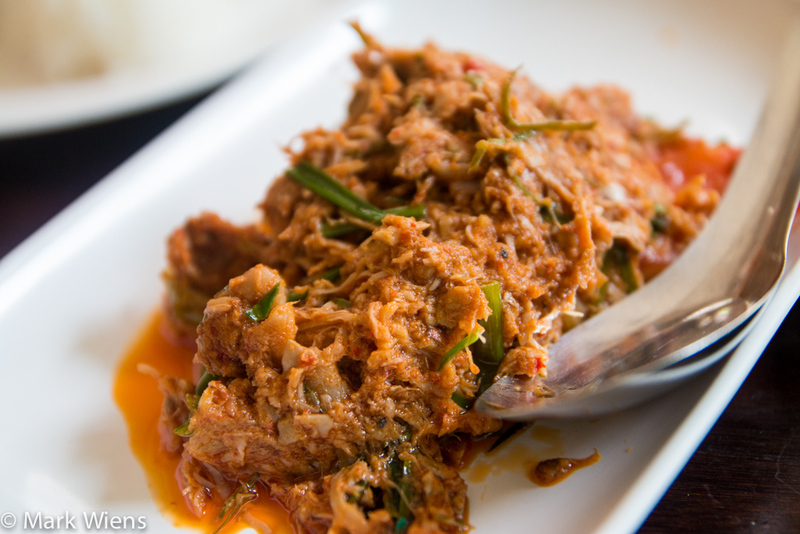 The jackfruit was complemented with chilies, onions, green onions, and then quite a bit of oil. I wasn’t a huge fan of the pool of oil at the bottom of the tam kanun (ตำขนุน), but I did love the flavor of the dish and the make-up of ingredients. I sort of took bite-fuls from the top of the salad, to squeeze out a bit of the oil. Nevertheless, it was good. 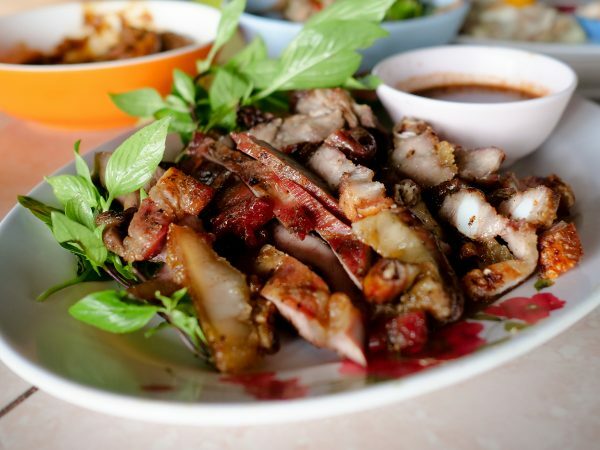 Northern Thai food is known for being quite pork based, the pig is a very important flavoring ingredients in Lanna cuisine. 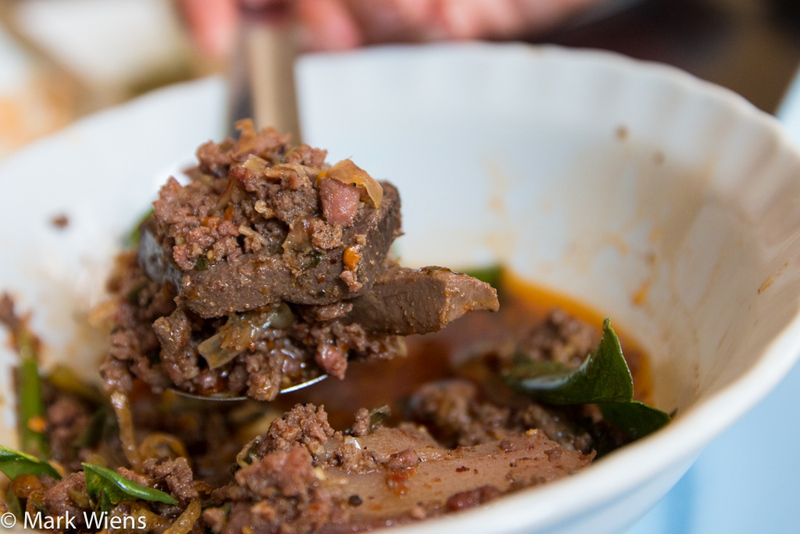 One northern dish that tops them all for its porkiness is larb khua moo (ลาบคั่วหมู). If you order larb in Bangkok or Isan (or throughout most of Thailand), it’s a fresh meat salad, made usually with minced pork dressed in lime juice and fish sauce. When it comes to northern Thai food, larb khua (ลาบคั่วหมู), is more of a heavy, porky, dry spiced, almost curry type of dish. The larb khua (ลาบคั่วหมู) at Huen Phen (ร้านเฮือนเพ็ญ) was a combination of minced pork, and pieces of liver and maybe some lung, seasoned with a blend of spices like cinnamon and cumin, and topped with crispy shallots and fried crispy kaffir lime leaves. The pork was nicely flavored, but overall, it was extremely oily for me. I’ve had other versions of larb khua (ลาบคั่วหมู) that weren’t quite so swimming in oil. I did enjoy the flavor, but too much oil. 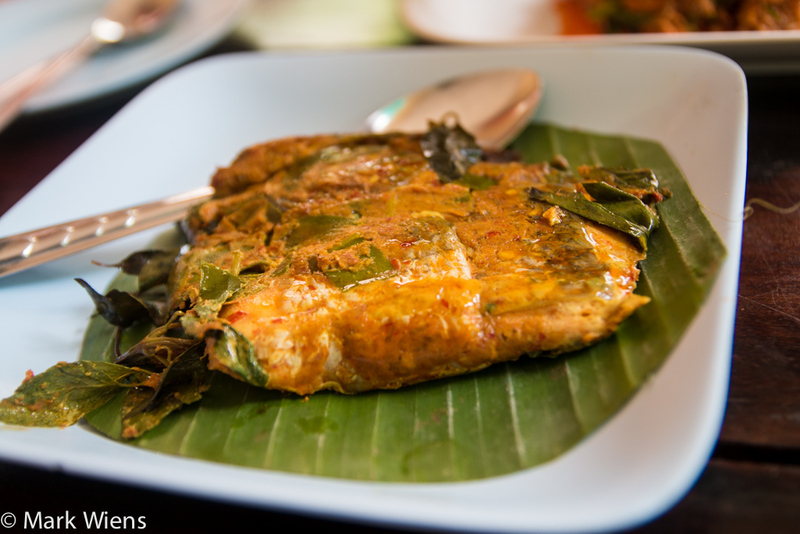 Finally we tried another famous northern Thai dish, known as gaeng ho (แกงคั่วโฮ๊ะ). From what I have heard, gaeng ho (แกงคั่วโฮ๊ะ) was formerly a dish of leftovers, the food from the day before all stir fried up. Our plate of gaeng ho (แกงคั่วโฮ๊ะ) included a mixture of vegetables and mung bean vermicelli, all stir fried with a bit of red curry paste, and what tasted to me like tomato sauce, or Thai chili sauce (sauce prik). It was a little bland, but not bad. 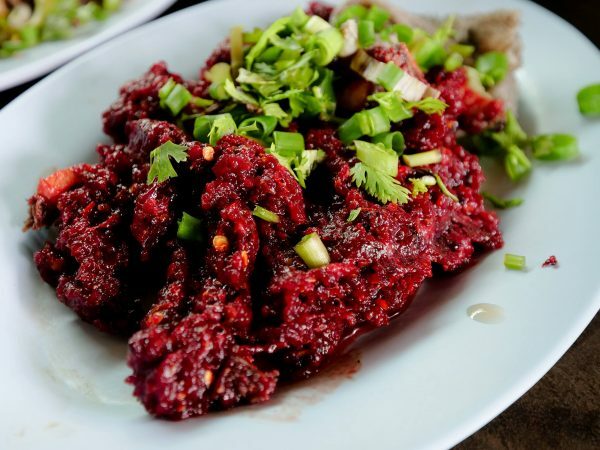 Northern Thai food is a fantastic branch of Thai cuisine to explore when you are in Chiang Mai, and you shouldn’t miss a few meals of it when you’re there. The food at Huen Phen (ร้านเฮือนเพ็ญ) was overall very good, and what I really loved is that they have a huge selection of different northern Thai dishes available. The food was a little heavy on the oil, which is typical of some northern Thai food (I also ordered a spread of quite oily dishes, so partly my blame), and I enjoyed the uniqueness of it. For other northern Thai food restaurants in Chiang Mai, check out a great restaurant called Tong Tem Toh (ต๋อง เต็ม โต๊ะ). If you’re not on a motorbike or walking, the easiest way to get around in Chiang Mai is to jump in the back of a rot songthaew (mini truck). In Chiang Mai, they work like private taxis, so you negotiate a fare with the driver, and then the driver drops you off at your destination. Huen Phen (ร้านเฮือนเพ็ญ) is located right in the heart of Chiang Mai, within the old city walls, right along Thanon Ratchamanka, and just south of Wat Chedi Luang. 8 comments. I'd love to hear from you! My absolute favorite here in CM. 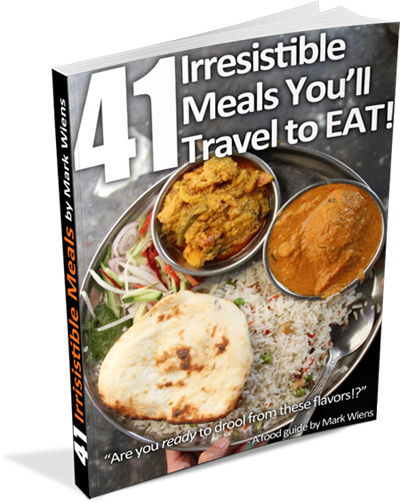 Thanks for your tip Mark! Still watch all your videos Mark! But the one lined in this page seems to be from a different restaurant. I’ll visit both next time i’m in Chiang Mai! OK nevermind, now it worked! it first linked me to a duck place… Sorry! Thanks Shichman, glad it worked out! Thank you for reading Maeping.